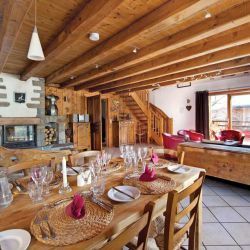 Chalet Isba really does have one of the best locations in Méribel. It is just a short walk to the nearest piste. 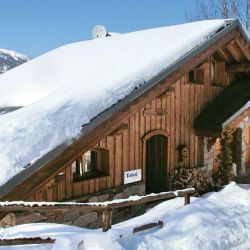 The piste is the Doran just at the Tourist Office and from here it is a minute’s ski to the Chaudanne lifts and the ski school meeting place. 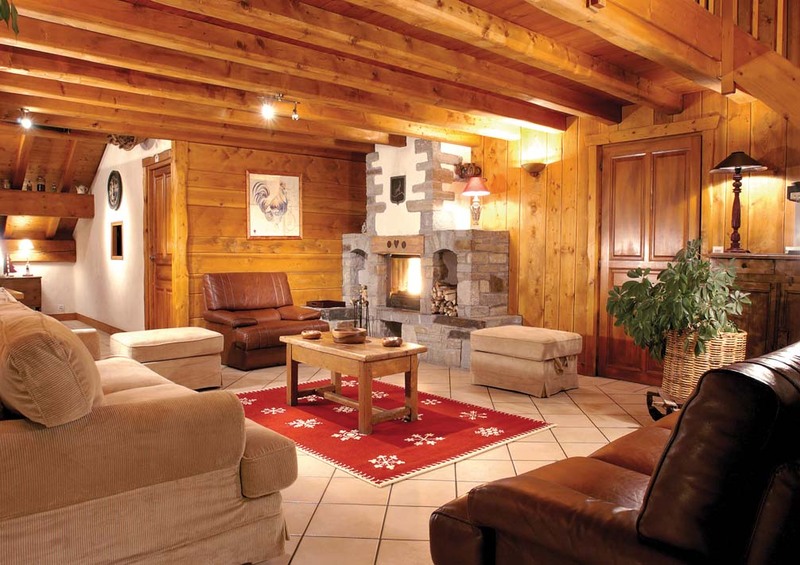 Alternatively our complimentary chalet minibus service will whisk you to and from the main lifts. 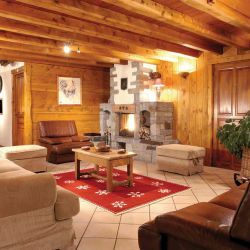 The chalet boasts a unique home cinema with comfy sofas and a large screen where you can watch your DVDs. There is also a billiard room, a sauna and a hot-tub located outside on the deck. The main reception rooms are full of character with authentic wooden panelling and beams and a log fireplace, as well as a further cosy lounge on the mezzanine level above. 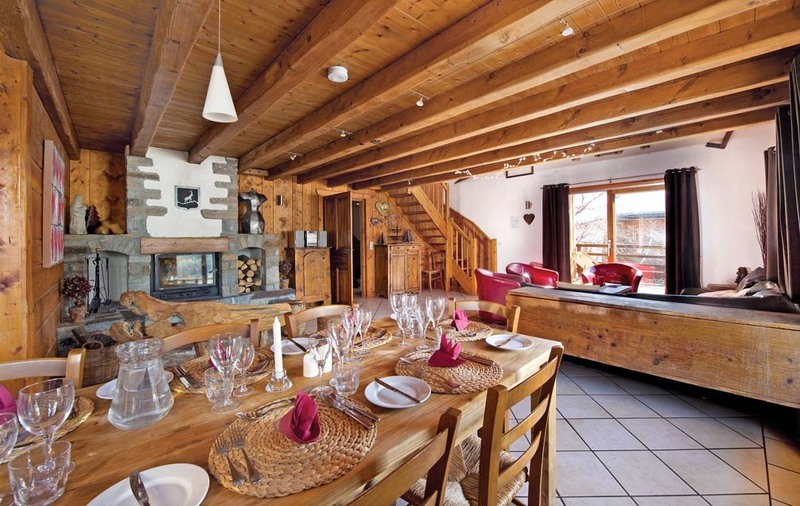 The chalet is built in to the hillside so the entrance is from the back on the second floor. 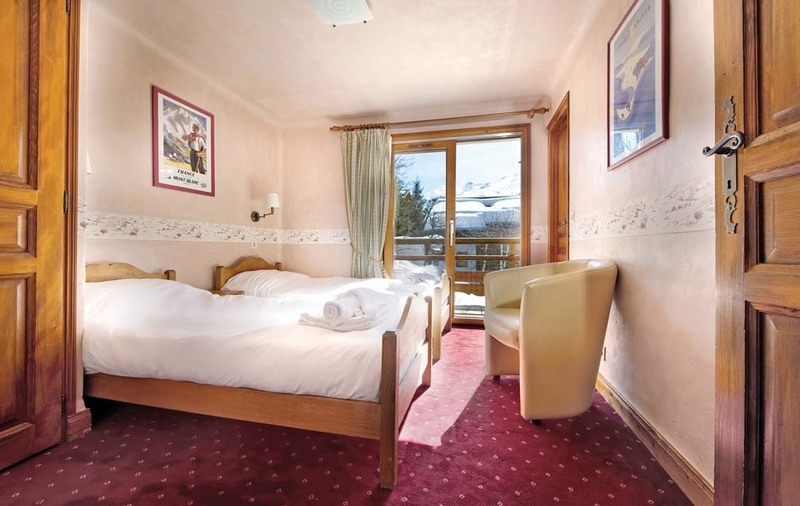 This allows splendid views from the chalet, particularly from the hot-tub! Lounge and dining area with stone fireplace with additional seating on a mezzanine level. Home cinema. 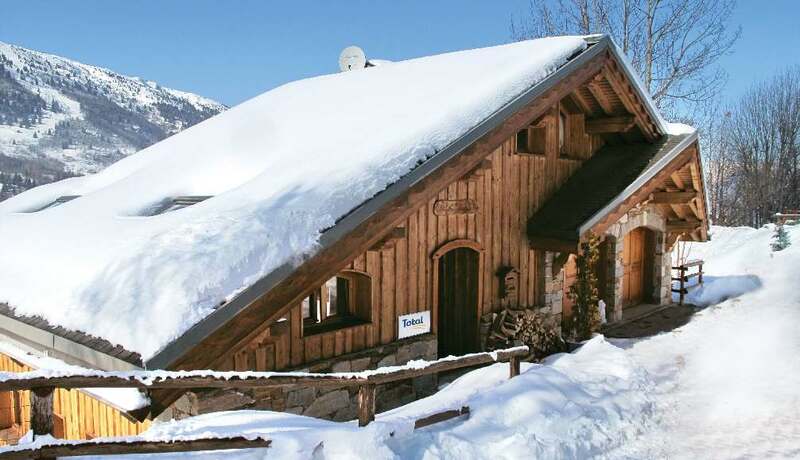 4 minutes walk to the Doron piste then 1 min ski to the main Chaudanne lifts. 4 minutes walk to the resort centre. Supplements per person per night: room 10 (bath/wc) £8; shower/wc/balcony £3; bath/wc/balcony £4; single shower/wc/balcony "20.